This interview is part of my Dog Professionals Hall of fame, showcasing the dog professions in all their glory. Actually Linda is an animal scientist, but I figured dog would sound more on-topic. Linda has a Bachelor’s degree in Animal Science (Cornell University), and a Master’s degree in Canine and Feline Nutrition. She has lectured at the University of Illinois on animal science for years, and has also lectured on companion animal behaviour at the College of Veterinary Medicine. 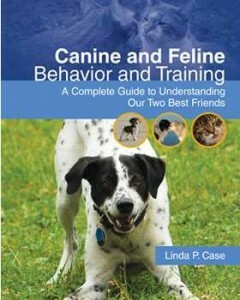 Linda has published several respected textbooks including ‘Dog – Its behavior, nutrition and health‘. Linda is also an animal nutrition consultant in the pet food industry and has started Dog Talk, a citizen scientist project exploring the dog-human relationship. Lest you Linda is all theory… she also leads AutumnGold dog training centre, her dog training and behaviour consultation centre. So when it comes to solid knowledge about dogs, Linda is as good as it gets. As if it wasn’t enough, she was also… very sweet. To tell you the truth, I was a bit star-struck. After all, some of her books are classics, and many are compulsory college reading material. 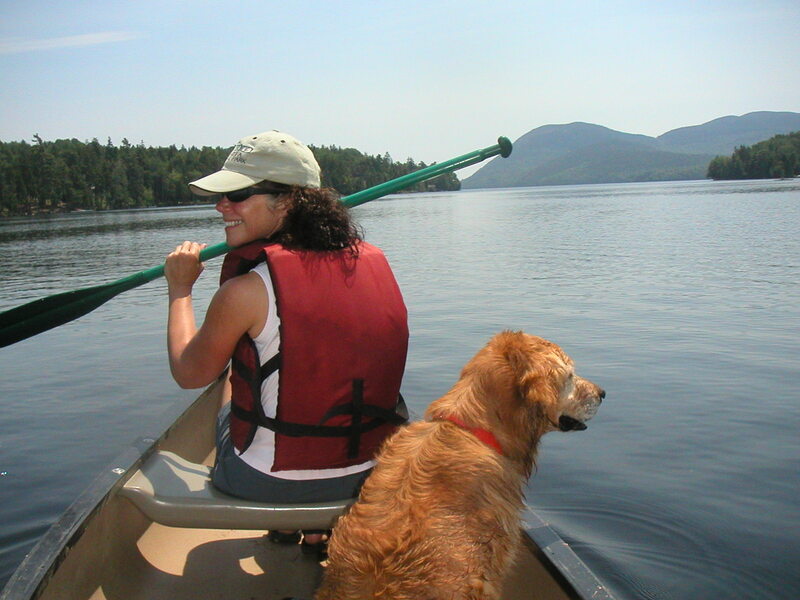 Read on to find out about the life of a dog scientist. LV – What do you do at the AutumnGold Training Center? LC – Our Training Centre offers group and private behaviour consultation. We give group training classes twice a week in a training building right on our land. We also offer private lessons and home consultations. 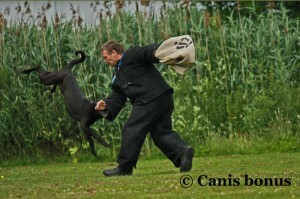 We also do some dog sports like Rally, Agility, Flyball but they are strictly for fun. They’re not for competition. 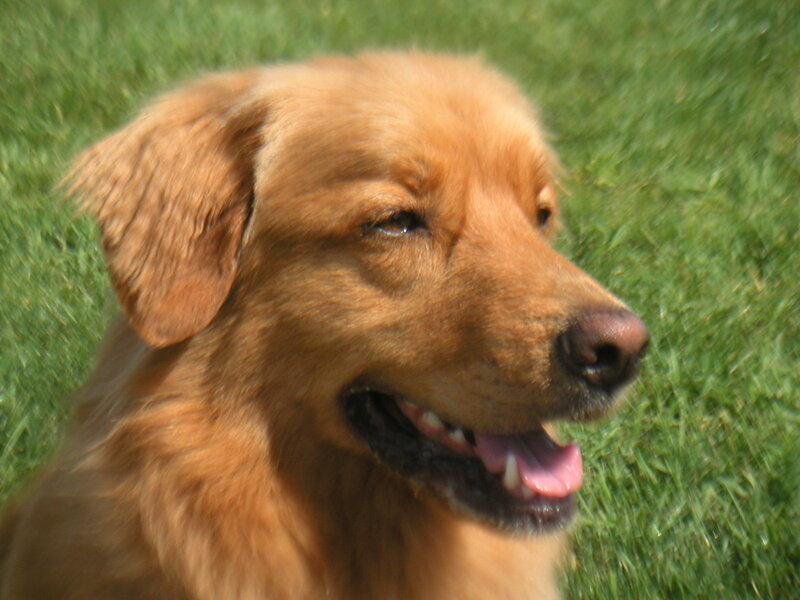 Our clients tend to be owners who just love their dogs and they are not that interested in showing. And we teach the Canine Good Citizenship certification programme. I teach the group classes and I have several trainers who assist and teach Rally and Agility. One of the trainers does the private lessons and home consultations now. She is wonderful. She’s a vet. LV – How have you found the task of finding employees? It must be difficult to find people with the right expertise and who share your approach, no? LC – The biggest problem is having someone who you think is going to be good, and then having it not work out. They’re all good people, but we require a certain level of expertise and that trainers agree with our training philosophy. LV – So you’ve found that great employee? LC – Oh yes. I’ve known her for over twenty years. She is a wonderful trainer (she’s a veterinarian, actually). We started out showing and training dogs together, and we have evolved together. We’re well-suited because she’s excellent one-on-one with people. She has wonderful people skills, very compassionate. I’ve done a lot of college teaching so I do better teaching to a group and lecturing in a more structured situation. Our talents and approaches complement each other very well. In fact, we have a dog right now that we thought was going to work out in our group classes but he’s just struggling so we’ve just made the decision that he would go private, so he’s going to work with her. The one-on-one solution works well because we can place dogs in a situation where we can still help them. LV – Are there many cases where you say: “There simply is nothing more I can do” in your behaviour therapy practice? LC – Actually, I would say ‘no’. The reason is probably that a lot of what the owner might consider to be a desperate case is often a misunderstanding of what normal dog behaviour is. Our culture has a media-promoted view of what a dog should be, and it is very distorted from reality. LC – Exactly. Or people have a memory of a dog from when they were a child and they don’t remember the behaviour issues that the dog had. They have rose-coloured glasses memories of a dog. A lot of the time, it’s just helping the owner to understand that it’s just a young adolescent dog who’s not biting, but mouthing out of frustration, or that puppies can just nip because they are puppies. We do see matches that are probably not the best suited, but that doesn’t mean we can’t help make it work. Hopefully, we can also teach them a little bit of tolerance for the dog they adopted. So in all the years I’ve been doing this, I could count on one hand the number of times we recommended re-homing. We never recommend euthanasia as it’s just not our philosophy. One of the things to consider is that it is a self-selected population. The people that come to us are at a certain level of commitment to begin with. People continue to abandon or even kill dogs for trivial reasons, but those aren’t the people coming for our help. It’s an odd paradox. We love our dogs but there’s a segment of the population that continue treat them as disposable. There’s a real dichotomy in our culture. LV – The dog professions are comparatively new in mainland Europe, and it’s a very hard sell here to tell people to adjust their expectations of their dog. LC – Yes, especially if they’re frustrated. They want to blame the dog, and it’s understandable. That’s why I think having people skills and being empathetic is as important as being a good dog trainer. LV – Absolutely. You don’t get anything from making people feel cornered and defensive. LV – In my experience, here in Europe, when you try to explain the “modern” approach, it is often perceived to be ‘too soft’ in light of techniques inspired by the ever-lasting pack theory. Is the US public more up-to-date on these issues? LC – I would say that it used to be up-to-date until a very popular trainer came on TV. I think public awareness has regressed a lot in recent years. There has been a certain backlash against the confrontational and correction-based methods that are promoted on the television program, but some listen, and some don’t. What is intriguing to me is why do people gravitate towards a message that is at its best coercive and domineering to the dog; and at its worse abusive? Why do people find that an acceptable way to treat dogs? LV – Part of the appeal of the dominance theory is its simplicity. LC – Interesting. It may also be about power and control. LV – I am not sure how appealing the power element is nowadays. We’re an increasingly empathetic society, and most people are uncomfortable with coercion nowadays. LC – True. Maybe that is why we’re making some progress. If we asked owners to do the same to their child, they’d be appalled. It can be a waste of energy to keep discussing it with detractors as both parties just get more and more entrenched in their views. If somebody comes to you for advice, you’re in a much better position to pass the message. Forcing it on people does not work. LC – I completely agree with preaching to the choir. Our training school has been around for over twenty years so we have a reputation in our community. People know that AutumnGold uses positive reinforcement-based methods. So again, there is a self-selecting process right there. If someone wants to jerk their dog around, they just have to look at our website or talk to someone who’s been here to know that it’s not going to be allowed here. Perhaps we are getting more enlightened when it comes to empathy for animals, especially in the UK and in Europe, and not buying into the human dominion worldview. We still have a way to go, but certainly compared to twenty years ago, a lot of progress has been made. LV – I hope you’re right, but the progress feels frustratingly slow. With such overwhelming evidence that the pack theory is not the panacea it is made out to be, why does it remain so persistently popular? … I know it takes a while between scientific discovery and culture shift, but this time lag is simply amazing to me. LC – Yes, and you hear this a lot too [about the use of coercion]: ‘But it works, and it works so fast!’ It gives more dramatic results. Our response is: “No it’s not working. No behaviour at all is not evidence of learning or modified behaviour. What you’re seeing is a dog that is shutting down”. Unfortunately, some people seem to want that. LC – Yes, that they can turn on and off. LV – I am finding this conversation hugely rewarding as I often have to talk about these topics from the defense, minority position. I am mainly in contact with dog professionals in mainland Europe, where the dog professions are not subject to much scrutiny in terms of academic qualifications. Anyone is free to educate the public and ill-researched or misconceived views on dog behaviour are propagated daily. LC – I am sure it has honed your journalistic skills. LV – Talking of dog journalism, I was talking to police dog trainers in the Netherlands recently, and they are one of the bastions of traditional dog training in this country. I was heartened to hear that they were starting a pilot study using clicker training. In the world of protection dogs, that is nothing short of revolutionary. LC – You could see it working with scent and narcotic work, but it’s interesting to see if they can do it for protection work. LC – There’s this book that I find delightful that could be an interesting reference on the subject. It’s called ”100 silliest things people think about dogs” by Alexandra Semyonova. She explores the dominance theory, predatory behaviour, and looks at all the other mythologies. I don’t necessarily agree with every single thing she says, but you never do with any book. In general I think it’s a really nice book. 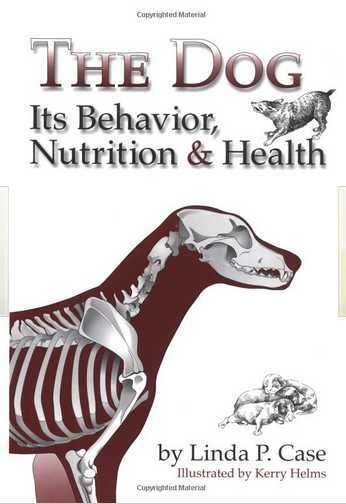 LV – Talking of books, I really like Jim Barry who wrote ‘The Ethical Dog Trainer”. LC – Oh yes, he’s based in Rhode Island. He’s a wonderful person. I believe he does hunting dog training but all with positive methods. He’s on the IAABC list (International Association of Animal Behavior Consultants), and I really like what he writes on there. LV – So what is a typical day like for you? LC – My husband and I are early risers. We have the good fortune of having a forest preserve near us, so nearly every morning, weather permitting, we either run or hike there with our dogs (we’re both runners). In fact we talk about this every day: it feels like we live in paradise. It has trails, the dogs can go swimming there. It’s just a beautiful place. Then I used to go to the University where I taught in the Animal Sciences department. But about six years ago, I left my position in Animal Sciences and started consulting more. My consulting work involves scientific writing and some laypress writing in the areas of animal behaviour, training, nutrition and health. I also taught a course in canine/feline behaviour and training at the University of Illinois College of Veterinary Medicine. I have just recently left that, and now I am concentrating on consulting (writing) full-time. So when we come home from our hike, I usually go to my home office and write from 8am, 8.30, 9am until about noon. I am a pretty avid exerciser, so around noon, I typically go into campus for a swim or do weights to get out of the office for a little while. Then I go back home and work for a few more hours. At night I usually either teach classes at our school, or have fun with the dogs taking them hiking or swimming, or training them. LV – For whom do you generally consult? Large companies or individuals? LC – Right now I primarily consult for pet food companies and pet supply companies. And, although I don’t have a project right now, I have also done some work for animal welfare groups. There are a also lot of small start-up dog food and pet supply companies rising up at the moment. Unfortunately it’s in response to all the problems and recalls we’ve had recently. LV – Tell me about your dogs? Are they all trick geniuses? LC – I have three dogs right now. My husband and I used to train and show in obedience and tracking for many years. So our dogs at the time were probably better behaved in a structured sense, than the dogs we have now. Now, we have the philosophy of “letting the dogs’ personalities bloom” [Linda laughs] and trying to find the type of activity that is best suited to each individual. LV – I know what you mean. Now that dog training is not a hobby any more, but a livelihood, I’ve become so lazy with my dog. 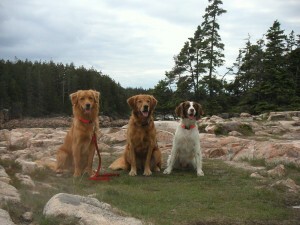 LC – Actually the youngest, Chip, our Toller, would rather train than almost anything else, except perhaps go swimming! So I am constantly trying to come up with new tricks to teach him. I’ve just started to do Rally with him, and he loves Flyball… His two favourite things in life are either training or swimming. LV – True toller then! LC – Oh yes, I think he’d rather do a water retrieve than eat. We also have a Brittany who loves freestyle. And then we have our Golden Retriever, Cadie: she’s ten. She’s a wonderful, wonderful girl. She has done a lot of training. She’s a great tricks dog: she’s done the most complex tricks in our family. She’s just really smart and loves to do complex behaviours. She adores my husband. To her, he walks on water. He marathon-trained for years and she ran the twenty miles with him. She’s a bit too old for that now of course, although she still runs up to eight miles and does just great! So everyone is an individual and a family member, and they’re all special in their own little way. LV – Did you adopt them from a shelter or did you get them from a breeder? 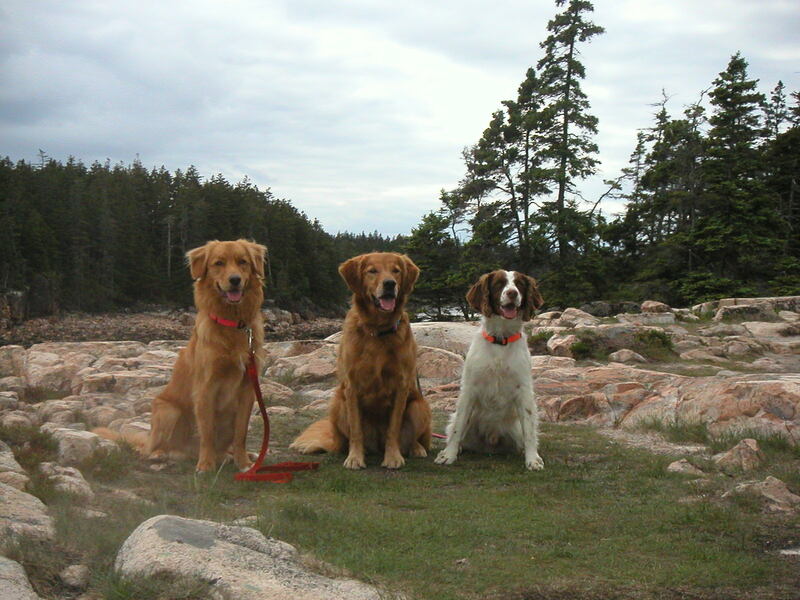 LC – All three are from breeders. I know it’s kind of out of vogue nowadays. But we are careful about what breeders we go to. They know their dogs, they know their temperament. For example, Chip’s breeder puts a lot into socialising his puppies. He has puppy parties, he even invites the neighbourhood kids! He does a great job with his puppies and with his breeding programme, as well as with his support for people who adopt his dogs. LV – About the technical writing, the following is something I personally struggle with. How on earth do you stay up to date with the latest scientific research? Does it take you several hours a day? LC – It is probably not the best approach, but I focus my reading on the project I am currently working on. I finished a behaviour book about a year and a half ago, and I was really up-to-date on that, but that has slid a little now, because in the last year I’ve been working primarily on nutrition. So I would agree that it’s very challenging because companion animals are so popular today both in terms of scientific study and certainly as companions, there is so much out there. I have the fortune of having access to the university’s library system so I can get full text on anything which is very helpful. But there is just so much. I think you could read twenty-four hours a day and not stay up with it. LV – You have to be realistic, don’t you. You can’t try to do it all. LV – I hear you about the need to focus. I am especially pressed for time as I work part-time as an IT Project Manager, and I have just had a baby. So keeping up-to-date on my dog project is especially challenging for me at the moment. LC – So you work from home? LV – Yes, most days I do. That’s the life of a consultant, I guess. Hard work, but a lot of freedom. LC – I hear you about working from home. The downside is that it’s sometimes hard to get away from work, but boy the upside more than makes up for it. LV – Oh yes. Especially with a dog: I have made a commitment to him and I would just feel so bad working away five days a week. But it’s a luxury thinking that way, and I really appreciate my luck. LC – I know: I used to leave my dogs to go to work and now I think: ‘Oh my gosh, I would not want to leave them alone for eight hours again’. And when I think of my customers, who mainly work in large corporations, I wonder how they get anything done because there are so many constraints on them in terms of meetings and phone calls and… I’d ask: ‘How do you ever sit down and work?’ It’s just this frenetic, crazy pace. LV – I am really curious about this: You are published by the holy grail of technical publishers: Blackwell. That is such a professional achievement. How did you get there? LC – Thank you for that. Actually Elsevier is my other publisher. So yes, with Blackwell, I kind of got in through the back door. I was teaching in Animal Sciences and I’d always wanted to write a dog book to support my courses at the time. I had the most marvellous Department Head. He was very supportive. LV – Wow, that’s amazing! And how much did you have down by then? LC – Oh I didn’t have anything down then. I just had an idea. She asked me to put together a proposal. So I did, and they liked it. I think I had a year and a half to write it. It was still for Iowa State University Press at that time. They were subsequently purchased by Blackwell. “The Dog” was doing well, so they asked for a second edition, which was then published by Blackwell of course. I then wrote “The Cat”, which was also published by Blackwell. The Elsevier book (my nutrition book) is also in its current third edition. I worked on that project for the last two years and it was published in June 2010. LV – So Blackwell was a lucky break. That’s really fantastic! LC – Yes, and they own Wiley right now, who publish a number of popular press dog books. I’d really like to try a popular press book over the next few years. But I know I’d need an agent for that. It’s really tough to get into popular press in general, and impossible without an agent. For your own book project, one of the groups I would look into – they’re smaller but the owner is just marvellous – is Dogwise. LV – Oh I love Dogwise books. They’ve published most of Jean Donaldson’s work, haven’t they? LC – Yes, she’s wonderful. LV – She’s my absolute role model when it comes to dog writing. LV – How does she write like this? It’s so smooth. Once you start, you just can’t put it down. You can read her books in a matter of hours! LC – And she makes me laugh out loud. Yes, she’s fabulous. I put her at the top of the pedestal. I like Patricia McConnell very much also. LV – Oh yes. But in my view, Patricia McConnell is not as prolific. There is SO much Jean Donaldson work out there. I wonder if that woman ever stops writing. LV – I know, and she’s so fluid. She’s really spot on. She really nails things in a few sentences so beautifully. And, more importantly, she addresses facts, rather than myth. LC – And she doesn’t hold back! LV – To go back to your book, ‘The Dog’. You mentioned you had a year and a half to write it. So did you quit your job and write it or did you combine both commitments? LC – I combined my job and the book. It was tough. LV – How many hours did you end up writing every day, on top of your day job? LC – It depended on how much teaching I was doing. I had my summers too. And I also wrote in the evening. So I still wanted to do the work that I loved, but I didn’t want to keep burning the midnight oil as much. LV – This following question is one of personal curiosity. You read everywhere that the grey wolf (Canis lupus lupus) is indisputably the direct ancestor of the domestic dog (Canis familiaris or Canis lupus familiaris, depending on who you ask). Yet cladistic trees seem to present them as close cousins. I was glad to read it in black and white in your book “The Dog”: the grey wolf is not the dog’s ancestor but its closest living relative. My question is: I presume that’s some kind of a missing link situation. I don’t suppose we have a species name for that guy, do we? LV – Oh [despondently]. And here’s me hoping for a species name. LC – Well it’s rather like humans and chimpanzees. We know that we branched off from the chimpanzee and we know that we have a common ancestor, but the chimpanzee is not our ancestor. It’s similar with the present-day wolf and the domestic dog. When people say the wolf is the dog’s ancestor, but what we have to remember is that the wolf has been evolving for the same amount of time that the dog has. So the wolf that we see today is not the same animal as that ancestor used to be. It’s undisputable that the common ancestor probably looked more like the wolf than the dog, but it wasn’t today’s Northern grey wolf. But I think the problem is that people look at the Northern grey wolf and say: ‘Look, my dog should behave like that’. But we don’t look at chimpanzees and say ‘How should I behave? How should I mother? ‘ We don’t look to them to give us information about our own behaviour, so why should we always look at wolves to interpret dog behaviour? LV – One of the most stupendous answers I’d heard in response to that question is that, because the genetic similarity (however that was measured…) between chimps and humans is 97%, whereas it is 99% between wolves and dogs, it is valid to systematically compare dogs with wolves. But besides that, you could still come back with: the vast majority of people have no opportunity to interact with the gray wolf, but we all have the opportunity to interact with dogs. So why not study dogs to understand dogs? That is what is so bizarre to me. The dogs are right here. Let’s study them to learn. Why all this extrapolation from the wolf? There is absolutely no need for it. LV – I would say that the popular mindset here in Europe follows the pack theory even more than in the US. So I often just give up arguing about this and keep a low profile. LC – I bet. And people seem to be quite emotionally attached to this theory. LV – Oh so much so. And it seems extremely self-reinforcing. You see a lot of trainers who claim the right to teach their beliefs as well-proven precepts on the basis that ‘They have been dog trainers for over twenty years’ (if I got a penny every time I heard that). How is that for circular logic? LC – [laughs] It’s a tough one to leave, isn’t it? Ever been injured training dogs? LV – So, have you ever been injured by a dog in the course of your job? LC – No, I’ve never been bitten. I came close a couple of times, but it was my fault. I wasn’t paying close enough attention. But knock on wood I have not. LV – Actually, that backs up my belief about modern methods. It’s funny: I interviewed twin dog groomers recently, and, when asked the same question. One of them (using the more gentle approach), said: “No, never”, while the other (who would approach non-compliance more head-on), said that she’d been bitten quite a few times. LC – Oh that’s funny: your very own twin study! LV – I get very frustrated when I read yet another dog book that contains outdated or ill-founded information. I would go as far as saying that the majority of them do. It puzzles me that books by popular trainers are for sale in the same section as the more technical writers like Steven Lindsay or yourself. What gets to me is the paradox that popular press, not being peer-reviewed, contains so many myths. Yet it is the one with the most influence. I am resigned to the fact that the spread of bad science is inevitable. LC – I think this dichotomy is not limited to the dog world. I use the analogy of why more people like Fox News than CNN? I think people like the flamboyant, the sound-bite, the sensationalistic. You certainly find that with this popular dog trainer on TV. He’s very dramatic. It reminds me of Roman games, but on TV. It is titillating and exciting to watch. We on the other hand, include a video on our website of a class of beginner students quietly and gently reinforcing their dogs for doing a down-stay amid some mild distractions. Do you think people would flock to watch this on television? No. What people want to see is someone risking being bitten or a dog being antagonized into a frenzy. It is terribly sad and of course, horribly inhumane. LV – Yes, and it’s palatable. Ideal for a tired audience who’s been working all day and does not want to concentrate. LC – Yes, it’s entertainment. To get back on our favourite author [Jean Donaldson], I think one of the people who does this the best, but she’s nowhere near as well known as Cesar Millan. LV – Absolutely. I think she would be our best crusader. LC – Yes, I agree. She brings good science, and writes it in a more popular press way. But if you look at the numbers, she’s still published by a small publishing company. I would put Jean right at the top of the list. And she writes it in the best way. So I don’t think it’s restricted to the dog world. I think it’s a societal phenomenon. I think this issue has probably been with us since we’ve been human. This entry was posted in Dog pros: a day in the life, Dog training and tagged autumngold, canine behavior, canine behaviorist, canine behaviour, canine behaviourist, dog academic, dog author, dog behavior, dog behaviorist, dog behaviour, dog behaviourist, dog nutrition, dog scientist, dog training, dog writer, linda case, nutrition, pet author, pet nutrition, pet writer, professional dog trainer, published author. Bookmark the permalink. Post a comment or leave a trackback: Trackback URL.